Firescape is the third piece in a series of elements inspired works. Through music it demonstrates the various characteristics of fire described by the titles of each section - Hephaestus - God of Fire, By the Glow of a Candle and Wildfire!. Hephaestus was the Greek god of fire and of forges and was blacksmith for the gods. The sound of his anvil can be clearly heard in this section. 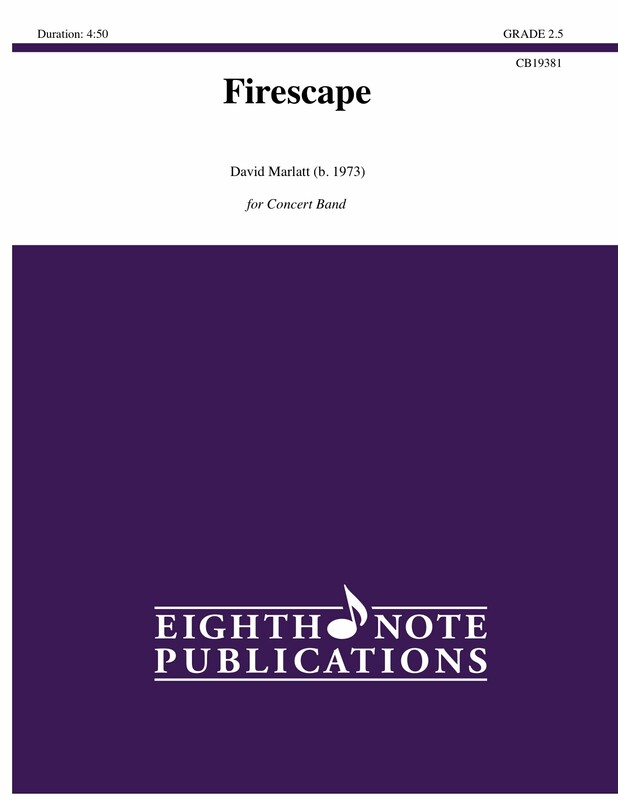 The smooth reflective middle section features solos for flute, trumpet and trombone before the percussion section takes over in the fast, energetic and driving rhythms that bring this exciting work to a close.